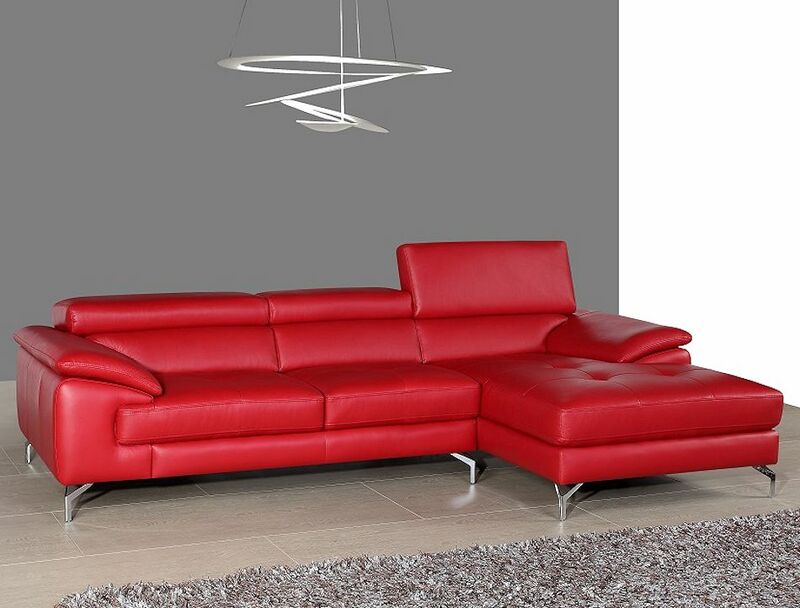 Beautifully crafted from premium grade thick italian leather and features 3 independent ratchet headrest. A fusion of style and comfort. 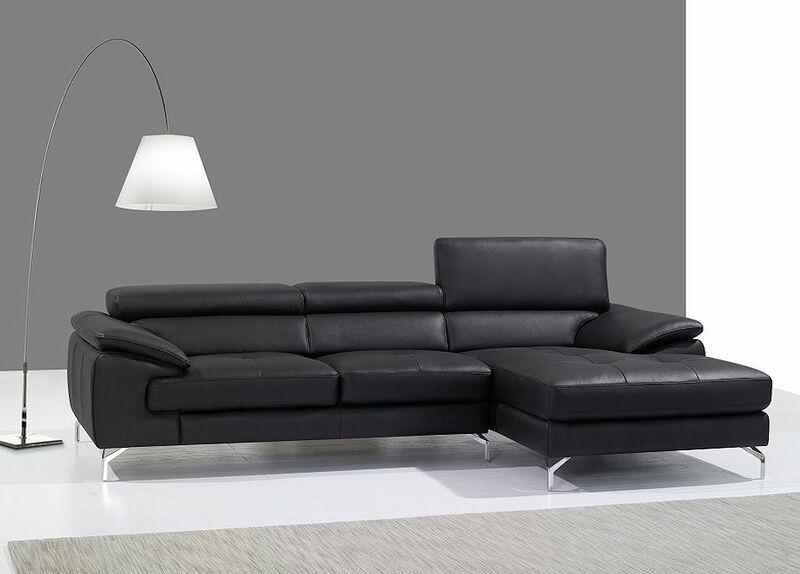 Model A973 sectional is available in Grey leather with 5 independent ratchet headrests. 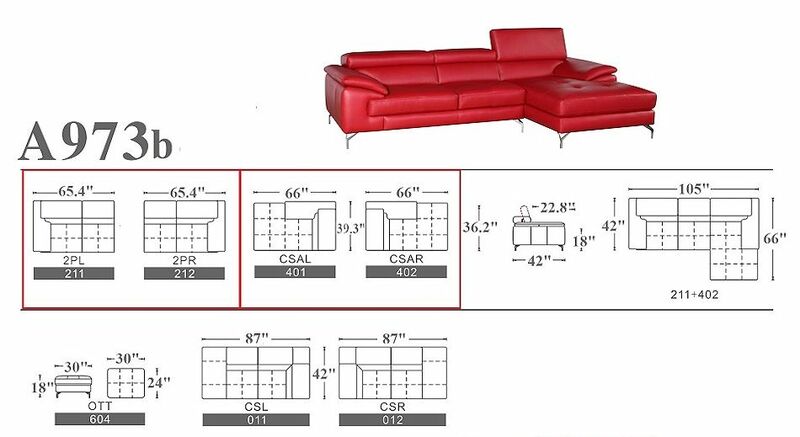 Model A973 sectionals in configuration 211+402 or 212+401 are in stock in Red or Black leather. 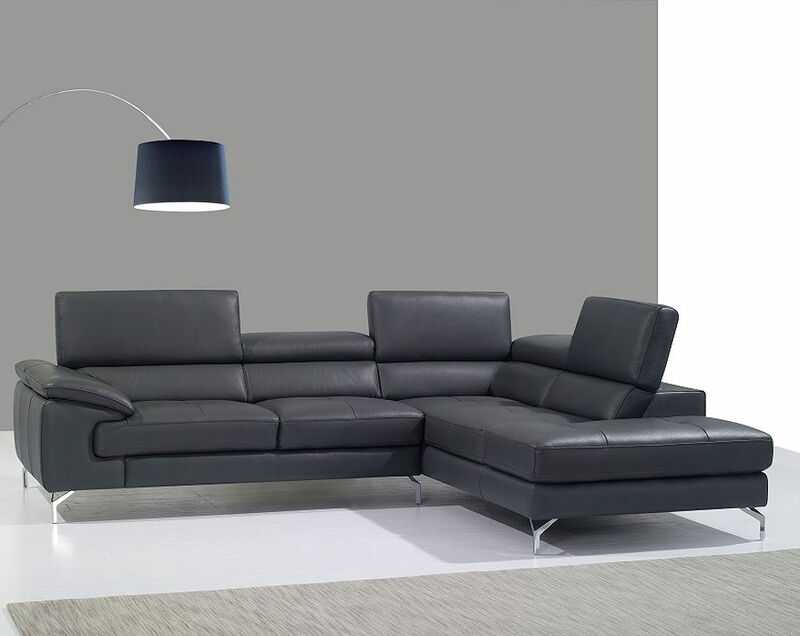 Model A973 sectionals in configuration 211+012 or 212+011 are in stock in Slate Grey leather.